The rate of the pound sterling to the euro dropped to an annual low on Tuesday amid fears of investors regarding a possible withdrawal of Britain from the European Union (Brexit) without preliminary conclusion of a trade agreement with the association, according to the data of the auction. As of 14.52 Moscow time, the euro to pound sterling rate rose to 90.73 pence for the euro, which is the maximum since September 12, 2017. 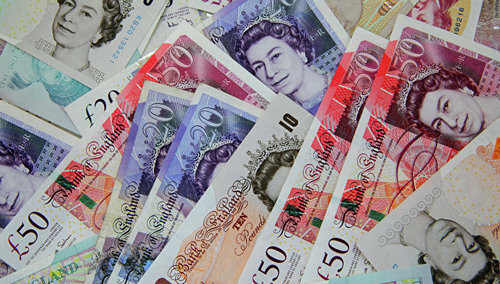 The rate of the pound to the dollar rose slightly – to $ 1.2894 from $ 1.2887 per pound at the previous close. The euro to the dollar increased to 1.1698 dollars per euro from 1.1678 dollars per euro. The dollar to the yen rose to 111.09 yen per dollar from 111.07 yen in past trades. The dollar index (the dollar to the basket of currencies of six countries – the main US trading partners) went down by 0.13%, to 94.65 points. Investors reacted to the new comments of British Prime Minister Theresa May, who said that if the agreement with the EU on trade issues after Brexit was not reached, “there will be no end to the world.” Earlier, Brexit minister Dominique Raab reported that the budget will be allocated 3 billion pounds in addition to the already agreed 700 million pounds to prepare for a scenario of possible failure to reach a deal on Brexit with the European Union. Traders interpreted this news as a warning about the possible failure of Britain in the negotiations on trade with the EU. In addition, German Foreign Minister Heiko Masc did not rule out the scenario of the so-called “tough Brexit” for Britain, and the French Prime Minister asked the government to prepare emergency measures in the case of Brexit without a deal with the EU. “The economic indicators in the UK have been encouraging lately, but the political uncertainty about Brexit is too high,” said David Madden, market analyst at CMC Markets in the UK.